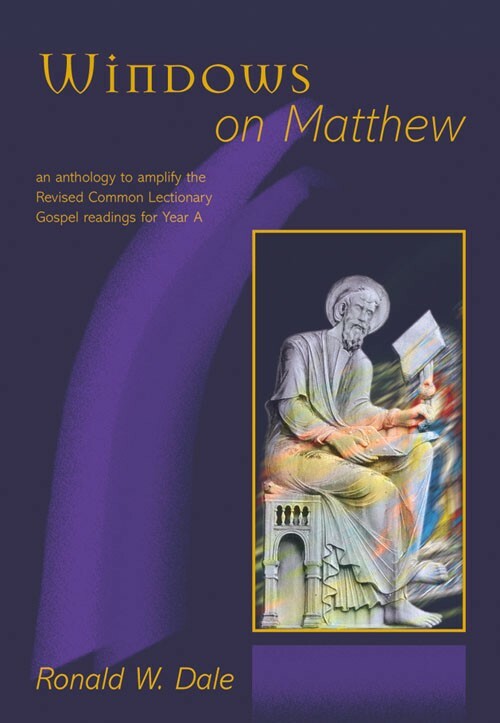 Here is a wealth of resource ma­t­erial, rich in insights and from a variety of sources, designed to complement the Gospel Readings of the Common Worship Lectionary. The stories, anecdotes and quotes in these books will supply new res­ponses to familiar Gospel passages. Ron Dale has been preaching in parishes, in prisons and on the radio for more than 40 years. His experience enables him to deli­ver the Gospel message in a lively, powerful and often humorous way. Thanks to his extensive reading and knowledge, he is able to draw on many and varied sources to further illus­trate his message - John Donne, J. B. Priestley, Ted Hughes and John Wesley to name but a few. All three volumes are intended to be illuminating and stimulating, with the anecdotes, stories and quotes enabling the old, old story of the Gospel to speak clearly today. The Gospel of John, not having a year of its own in the Lectionary, is used during the major seasons, the so-called festal days of the year, and so is featured on such occa­sions within all three titles. Windows On Matthew by Ronald W. Dale was published by Kevin Mayhew in June 1998 and is our 34865th best seller. The ISBN for Windows On Matthew is 9781840032338. Be the first to review Windows On Matthew! Got a question? No problem! Just click here to ask us about Windows On Matthew.